Note: Today is day 6 in my series "30 Days of Thankful." I think the first rule of Al Anon is "don't talk about Al Anon" to people outside of Al Anon, but screw it. I'm talking about it. Despite having been in therapy for years, and years, and years with minimal progress, I recently discovered Al Anon on my own when I discovered that I am the poster child for codependency after a gut wrenching break up. 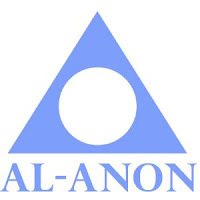 If you're not familiar with Al Anon, it's a non-denominational group meant to provide support for family and friends of alcoholics. My dad is your typical multiple DUI alcoholic, so that gave me permission to join this group. Al Anon meetings are held every day of the week at varying times throughout the day in Cleveland and beyond. I'm still new at the whole Al Anon system, but meetings follow a similar format - introduction to the program, the 12 steps and traditions of Al Anon, first name introductions, passing of a basket for a dollar donation, and then a program based on a theme, topic, or guest speaker. People in the group are very welcoming and if you've ever even thought about going to a meeting, I'd encourage you to get the guts to just get up and go. It just might change your life. The underlying theme of Al Anon is that if you've spent any time with an alcoholic, you try pretty unsuccessfully to control their drinking, or their lives to make them more reasonable people, or you've developed some unhealthy coping mechanisms based on control. I can't say this for a fact, but I'd care to bet that if you're a perfectionist/worrywart like I am, you may have had some interactions with an alcoholic at some point in your life. Al Anon teaches you that you need to stop trying to control your life to the nth degree and control the people around you. If you think about it, you're really only in control of your own life. Not your parents' lives, you're spouse's, or anyone else's. You can encourage someone to change, but can you really make them do it? Nope. I like to call this a less controlling version of a plan for control for control freaks. Since I’ve started attending Al-Anon meetings, probably for the first time in my life I don’t feel alone the way I feel about my past. My childhood was rough. My dad was a terrible alcoholic. There were things I've seen him do or say that no one should ever experience in a lifetime. To keep Dad the angry bear at bay, I spent my childhood and the better part of my 20's tip-toeing around him and his alcoholism to try and keep the peace while hiding my own feeling and suffering in silence. And it was truly suffering. I became a master at killing off all of my feelings. Because when you feel, you hurt. That's what I learned growing up. My dad didn't stand for tears. There was no such things as sadness. Everything was always fine. Even when it really wasn't. Talking to your 8 year old about suicide? Not fine. Physical violence? Not fine. Being blamed for the most ridiculous things that a child could never be responsible for? Not fine. I'd love for the world to know what a monster my dad really is, but I've long since forgiven him for what he's done in order to be able to move on in my life without him. In Al Anon, I’ve met so many people who’ve unknowingly let baggage from their awful childhoods ruin perfectly good adult relationships but who have been able to completely change themselves so they have healthier relationships in the future. I feel like a heavy burden has been lifted off of my heart. I wish I could have discovered this organization so much sooner. You can’t live your life with regrets, obviously, but I wish I had recognized how a lot of my actions were hurting various people in my life. I was definitely in love and being loved by people, but I had a hard time accepting that love. And communicating my needs, because I'd grown up really feeling like my needs weren't important. I needed to do what was important to keep someone else happy at all times. Even if that made me miserable. One of my friends (Yosef) used to hug me every day just because. He wanted to show me that I didn't have to lock myself in the cold, lonely world I'd created as a defense mechanism as a kid. He really opened my eyes to love and being open to being lovable. I feel pretty like what I’m learning in these meetings is really going to help me to change the way I live my life so I can be the person I was always meant to be, if that makes sense. As they say in Al-Anon, you need to let go and let God. The things that are meant to happen in your life will happen in their own time. I often wish I had a fast forward button so I could see what the next chapter in life holds for me, but for now, I feel better putting my fate in someone else’s hands. And I really do feel like this behavior modification I'm going through is putting me on a path to being consistently happy. Disclaimer: This blog post is my own personal opinion of the Al Anon program. Please check out the official web site or attend a meeting to learn more.